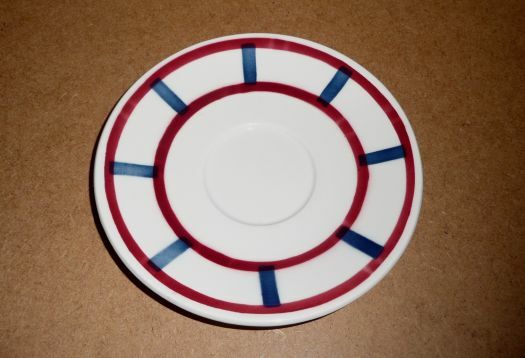 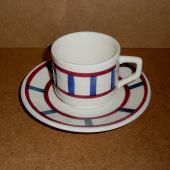 Cup for coffee, with saucer, in earthenware, without mark under. 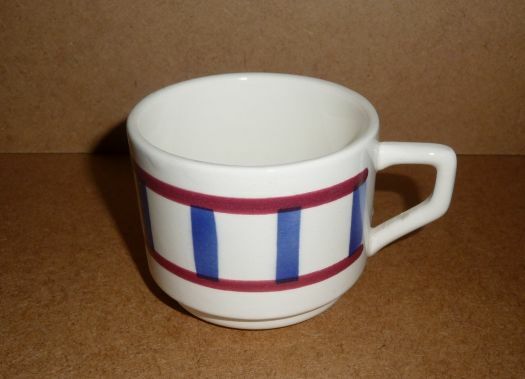 Cup : height 5,5 cm, diameter 6,6 cm. 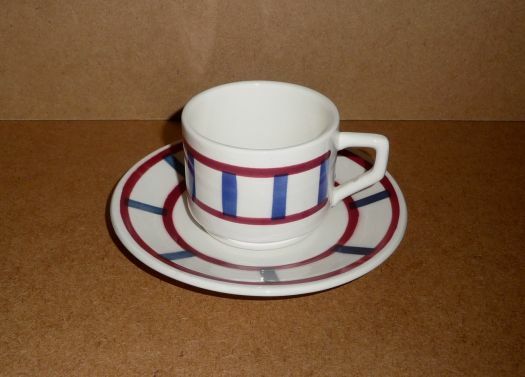 A second cup with saucer is available, with a small default, for 10 .